Saad bit more explanation hard points are the area, location or points on the plane which provides the facility to the aircraft to put and fire its wapons from that point or location. The number of hard ponits provide the facility to carry numbers and variety of the wapons. Hard point are also used to carry external fuel tanks for the air craft. Jf 17 has 7 hard points 3 under each wing and one under fuselage. Lca has also 7 hard points 3 under each wing and one under fuselage. So in case of Hard points Jf 17 and LCA are the same. is flanker is as good as it is said or it is only goo din papers. it cant be better than Eagle, Falcon, or Rafale. Back it up with claims of logical stuff. Show me where the Flanker lacks and Eagle or Falcon wins. And make the version of the aircrafts clear. We learn from History that we learn nothing from Histroy !!! 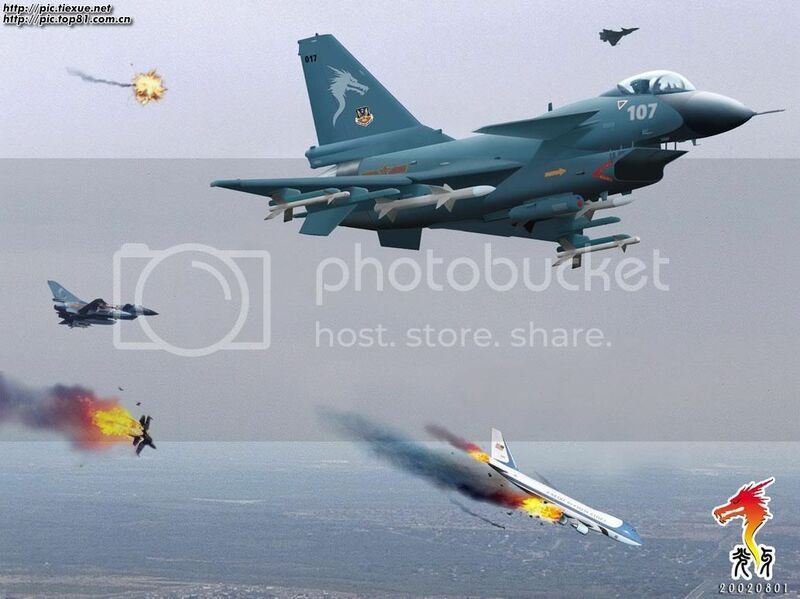 Well flankers it would seem are better than MiG-29's, 2 flankers claimed 2 MiG-29s inthe ethiopian/eritrean conflict. It all depends on pilot skill and wepaonry used. YOU WILL NEVER KNOW THE RESULTS BUT POST-EXERCISE REPORTS WILL BE PREPARED AND ANYLISED & THOSE WHO NEED TO, WILL KNOW THE RESULTS. thse exercises are NOT conducted to decide winners but to learn from eachother & exchange ideas. THEY ARE CONDUCTED ONLY BETWEEN FRIENDLY COUNTRIES. Feroze, that is the typical indian defence junkie attitude. Rafale could be defeated by the MKI, anythings possible, but the rafale would have an easier time disposing of the Mki than the MKi would have disposing of the Rafale. Simple, the MKI has a huge IR and RCS. It can be picked up relaitvely easily by IRST's, long range radars etc.. The rafale has some low observability features, like the Rafale D (d for discret or quiet). The Rafale has superior avionics, and the SPECTRA EW suite is amongst the best in the world. It consists of decoys, laser warning, electromagnetic detection, offensive and defensive jamming and missile warnings. The Rafale can carry like 9 tons of weaponry on 14 hardpoints, and can carry most of the french air forces weapons. Interests:I'm interested in design wear my favourate Labels are Armani, Diesel, Kangol, etc. <br />My hobbies are Weight training,Playing On my computer, discussing military/Political &amp; religous affiars, showing off, arguing with Jahils, practicing punches. do u think PAF did well in that Anglo-US exercise? What was the name of the exercise? Apprently, the PAF said they got scores above expectations. mr lightning first of all i am not an indian! so their is no point of having a junkie indian attitude. i am a Pakistani this is ur first mistake secondly i just asked "best of best" whether mki is better than rafale because many indians in the forum were making claims. to name a few "tajmahal" rahul and ajay. you thought thati am in favour of mki. i would like to see mki defeated the same way u would want. so this is ur second mistake. third mistake is by those indians who think mki is f-22 . so u see different people have different views. nobody is correct. neither we pakis who seem to under estimate what indians have nor those indians who think they are the best. they cant even feed hungry millions in their contrii so i will find it out which jet is the best till then goodbye and never play with sentiments of a true patriot Pakistani . instead of hurting our foes we pakis end up hurting ourselves calling their own men kafirs. cool feroze i dont remember saying any thing wrong or offensive to you i simply answered your question. Feroze, i didnt refer to you, i was referring to the thought that MKI and LCA are better than jets like the Rafale etc without providing any facts supporting it. Sorry if i offended you feroze, no hard feelings? cool feroze we dont have the money to buy Rafles OR EF-2000 secondly we havent been offered these aircrafts by any country and plz dude dont underestimate J-10's they are said to be a threat to the Super hornets..
J-10s will almost certainly come later on, a western jet is preferred by the PAF. The gripen would be good, later blk's of the F-16 would be good too. Remember, a plane is only a delivery platform, its the armament that does the damage. how much do air to air missiles cost? in particular the sd 10? how many harpoints does j-10 and f-16 has? Go research it your self you lazy guy. Can you tell me about the results of "Anatolian Eagle,2004" fom any national or international source. I am very anxious to know about them. A brave man is not who does not fear anything, but the one who knows how to overcome his fears. The only thing enough for the triumph of evil is that the good men do nothing. Remember: With great power, comes great responsibility. Like the light because it shows the way, but like the dark because it shows the stars. so with same engines can FC-1 do the same thing like the mig-29 can do.....? Interests:hiking,astronomy,reading about warfare abd strategy making. whats a cobra maneuvre and how is it performed..
A plane is a lot more than just a delivery platform. otherwise the PLAAF would have been happy with the Finback which can fire the SD-10 and house the same radar. The WVR arena will come in time too. It is almost inevitable, so manouvrebility is needed too. if you can't or don't want to answer my question keep you mouth shut. Here is an amazing vedio of Su-35 i am amazed to see what this baby can realy do. Try downloading it with a cable connection if possible. long? tell me about it! its been downloading for the last 30 mins and i have broadband! Engine backflow is a problem while performing the high-alpha pass maneuver, but it is not the only problem. U got to have the aerodynamic stability going ur way which is not the case with FC-1 as it is an unstable design using FBW for stability. F/A-18A/B/C/D can match the MiG-29 in this regard but it has engine trouble. Got to have the best of both worlds. I am also want to know the results of these exercises.Any body Please help us. It is clear to all of us that the performance of the radars of PAF ROSE Mirages is better than Pakistani F-16's radar. Can anybody tell me what is the detection ranges of our Mirages' radar and our F-16's radar? Thanks in advance.